If you are sold on the idea of using a standing desk every now and then to help improve your health, your main problem may be finding the right desk for your needs. This can be a really daunting task due to the many standing desks available. While we can't promise to give you all your answers on standing desks, we can bring you a step closer to finding the best standing desk for your needs. How, you ask? 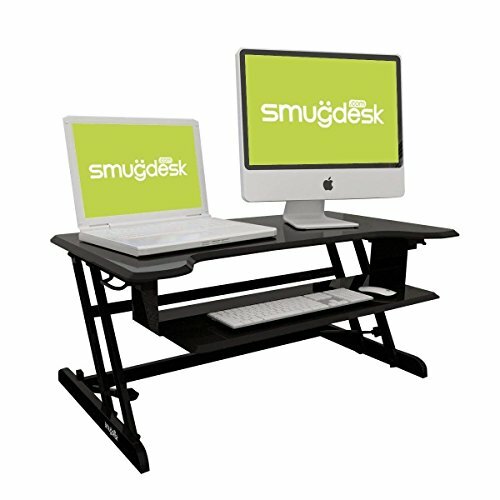 By giving you a thorough rundown of one of the most purchased standing desks on the market – the Smugdesk Standing Desk for Dual Monitor. Keep reading; this might just be what your office needs. 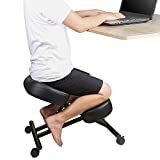 The whole idea behind this desk is to achieve comfort for the user by mimicking an ordinary desk surface, but in this case, you will be standing. This is achieved by providing ample space for your laptop, comfortably leaving more space for other work gadgets such as a tablet or a phone. You can also fit two screens on the desk surface. The keyboard tray provided also helps desktop users find a resting place for peripheral computer devices such as a mouse and keyboard. There is no restriction on who can use this desk. 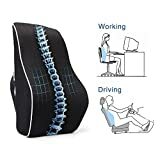 It is targeted toward the normal office user looking to alternate between sitting and standing when working be it at home or in the workplace. It will particularly benefit individuals who operate two monitors at the same time such as front office operators. This gives them a chance to easily multitask, for instance by attending to a client while replying to mail. It also helps that it comes with a keyboard tray making it a better option for individuals with desktops. This desk comes in a simple and compact box making it an excellent choice for a gift. Inside, is the desk which comes readily assembled to the last detail which is quite convenient and timesaving. You also get a 30-day money back guarantee upon purchasing this desk paired with a generous 24-month warranty. This way, you can rest assured you are acquiring a quality product. As we said, this desk comes readily assembled. 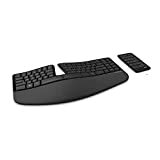 Everything, including the keyboard tray, is already installed upon delivery, leaving you with the task of getting it out of the box and using it right away. This piece ensures to provide a wide range of height adjustability, which makes the desk accessible to both short and tall people. The speed and ease of adjusting from sitting to standing height is also fast and quiet to ensure that you do not disrupt normal office work by drawing attention to yourself. This ensures access to specialized corrective and informational services. The warranty also guarantees the excellent quality of the desk. In case you are not satisfied after delivery, you can get your money refund within 30 days of purchase. The working surface of this desk can accommodate up to two monitors, which helps ease the transition from seating to standing and back, without having to move items around every time. Even at its maximum height, this desk is stable enough to support your office equipment as well your part of your body weight as you work. Although the surface is big enough to accommodate two monitors, it may not work well with two 24’’ monitors. With a width of 31.89’’, large 24’’ monitors will barely fir on the surface of this desk. For you to achieve this, you need at least 35’’ of width for space and a maximum weight limit of 30 lbs. to support the monitors. In case you require mounting two 24’’ monitors, a great alternative would be the Flexispot M2 Sit-stand Desktop workstation which comes with a weight limit of 35lbs. and a large working surface of 35 inches. In all honesty, there is not much to complain about when it comes to the Smugdesk Standing Desk for Dual Monitor. It comes with all the features necessary for a great standing desk. This includes easy height adjustment, a keyboard tray, easy assembly, and a large working surface. These guys even throw in warranty and a 30-day return policy! The only thing that might restrict you from using this desk is perhaps if you have monitors that are large. Previous Post Stand Steady X-Elite Pro Standing Desk Review Next Post What are the Best Ergonomic Wireless Mice?